We specialize in everything from small emergency service calls, to major emergency response situations, including emergency temporary repairs and permanent wiring. Electrical emergencies always happen at the most inconvenient times. The last thing you want while running a business is for your power to go out; it can cost you customers, sales, and even your reputation. That’s why we’re available to you 24/7! We specialize in both residential and commercial electrical emergencies and take pride in our quick response time. 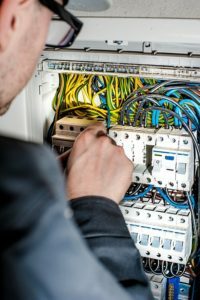 Our trained and certified electricians will come to you and get to work fixing the problem right away, while causing minimum disruption to your life.